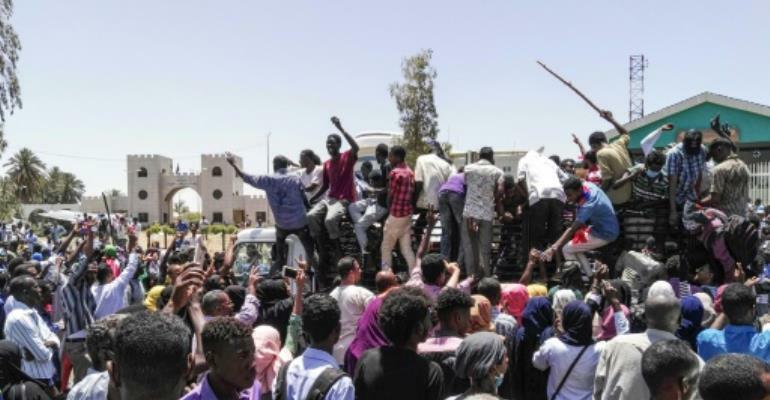 Western nations Tuesday threw their weight behind Sudanese protesters demanding a plan for a political transition as security forces abandoned a bid to disperse demonstrators camped outside the army headquarters. The protests, which first began in December, pose the biggest challenge to President Omar al-Bashir in his three decades of iron-fisted rule. 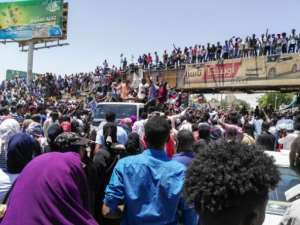 Thousands chanting "freedom, freedom" stayed camped outside army headquarters in Khartoum for a fourth day Tuesday, after security forces abandoned two separate bids to disperse them when soldiers fired in the air to protect demonstrators, witnesses said. "The time has come for the Sudanese authorities to respond to these popular demands in a serious and credible way," the embassies of the United States, Britain and Norway said in a joint statement. "The Sudanese authorities must now respond and deliver a credible plan for this political transition," they added. Thousands have been rallying since Saturday outside the sprawling complex that also houses the president's residence in the largest demo since the protests erupted against a three-fold increase in bread prices in December. A second witness said soldiers had intervened against the security force agents. 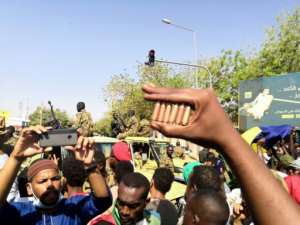 "Sudan's armed forces understand the reasons for the demonstrations and is not against the demands and aspirations of the citizens, but it will not allow the country to fall into chaos," Ibnouf said on Monday, quoted by the official SUNA news agency. Bashir -- wanted by the Hague-based International Criminal Court on charges of war crimes and genocide connected with the suppression of a now 16-year-old ethnic minority rebellion in the western region of Darfur -- took power in an Islamist-backed coup in 1989.